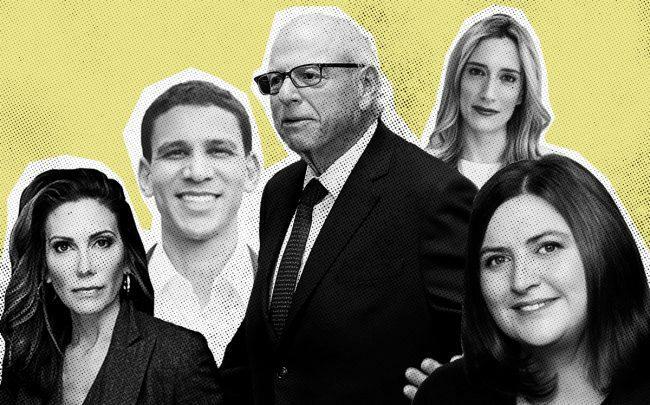 Just hours after Compass struck a deal to buy Stribling & Associates, the city’s top residential brokerage executives took to the stage to spar over existential questions about the industry’s future, the ongoing threat of StreetEasy and Compass’ aggressive recruiting tactics. Right off the bat, the spotlight was on Elizabeth Ann Stribling-Kivlan, the head of Stribling, and Robert Reffkin, the CEO and co-founder of Compass. Stribling-Kivlan said her firm’s decision “has nothing to do with other people’s firms,” noting that Stribling had reached a point where it could no longer provide the level of resources and support it sought for its agents and staff. Light-hearted jokes about the deal peppered the chat throughout the night — Douglas Elliman’s chairman Howard Lorber quipped that Corcoran Group CEO Pam Liebman was off calling Stribling brokers — but the remarks largely centered around the need for the city’s brokerage industry to band together and how firms can stand up to disruptive forces including aggregators like StreetEasy. More than 100 brokers and assorted industry players crowded into a 66th floor apartment at Extell Development’s One57 for the panel entitled “The Future of NYC Residential Real Estate Brokerage: How the Disruptors are Affecting Our Industry.” The discussion — an inaugural event for New York Residential Agent Continuum, a broker advocacy group that launched last fall — also included Warburg Realty president Clelia Peters and Brown Harris Stevens CEO Bess Freedman. Ownership of and control over listings and data was the central idea the executives agreed upon. Freedman, taking aim at the Zillow Group’s Premier Agent program that has been a consistent source of frustration for brokers, partly blamed the lack of education among consumers. If they better understood how the initiative is misleading, she said, it would change consumers’ perception of the program. “They are pimping you out, and every time you give them money, you are helping them to get stronger,” Freedman said, drawing applause and murmurs of agreement from the audience. But the dynamic grew more combative as the panelists criticized Elliman and Corcoran for its dealings with Zillow. In 2017, Elliman tapped StreetEasy to build a back-end portal for its agents — a move that Lorber said was made after consulting with brokers. “We did what we thought was good for them, and what they thought was good for them,” he said. Freedman argued that Compass increased the pressure and challenged the firm’s aggressive style of recruiting. Offering hefty compensation and perks after an agent’s already said no to leaving their firm is “shady,” she said. Freedman and Reffkin offered support. So did Lorber. “I want to do what’s good for all of us here,” he said.